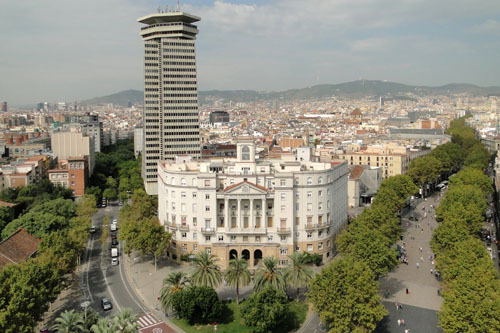 Barcelona’s famous promenade runs through the heart of the old city, from Plaça de Catalunya at the top all the way to the waterfront. 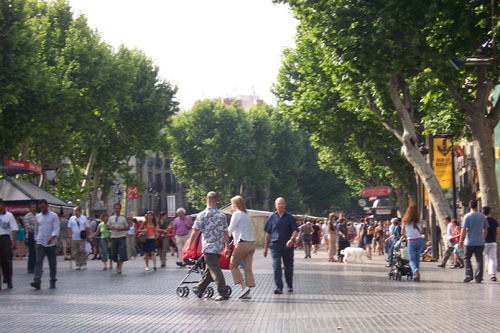 Vibrant, verdant and happening, this mile-long strip is the showcase of Barcelona’s buzzing street life. Lined with cafes and restaurants, it features a profusion of flower stalls and stands selling anything from caged birds to newspaper and souvenirs. As you wander down, you’ll pass street mimes, musicians and a sea of people who converge to this action-packed sight for a flavor of Barcelona. All your senses will be stimulated as you ramble through this 19th-century covered market off La Rambla. 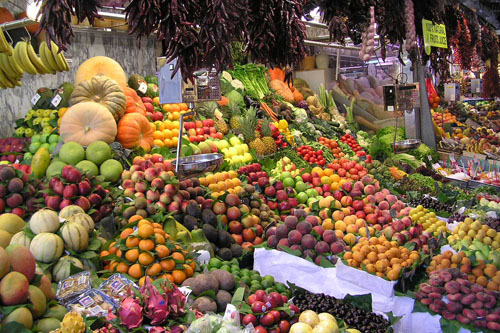 A must-see for any visitor to Barcelona, this emblematic spot features endless stalls overflowing with anything from fresh fish and offal to fruits and vegetables, artisanal breads and cheese and fragrant herbs and olives. Ever buzzing with vendors, locals and tourists, it’s a great place to snap some photos and sample local goodies (especially at the stalls away from the main entrance, where it’s slightly cheaper). Barcelona’s superb Gaudí Exhibition Centre opened in summer 2015 in the medieval Pia Almoina almshouse, which stands just to the left of Le Seu Cathedral in the Barri Gotic. Anyone with an interest in the fantastical, spiraling architecture of Anton Gaudí and his masterpiece the Sagrada Familia should make this exhibition their first stop, as the entertaining and informative presentations make an excellent job of translating his design theories into understandable working ideas. Spread over several floors, its state-of-the-art exhibits feature innovative multi-media technology, spectacular 3-D presentations, video walls and movies, models, stained glass, and sculpture to illustrate the chronological development of Gaudí’s creative genius. Barcelona’s most iconic and photographed sight, Anton Gaudí-designed Sagrada Família is undoubtedly one of the world’s most extraordinary buildings. An UNESCO World heritage site, this fanciful unfinished church, the Temple of the Holy Family, overflows with latticed stonework, carved buttresses, and intricate sculptures. The eccentric architect (now buried underneath the nave) spent almost 40 years of his life on this project started in 1882 that he envisioned with 18 high spires and a giant tower dedicated to Jesus Christ. 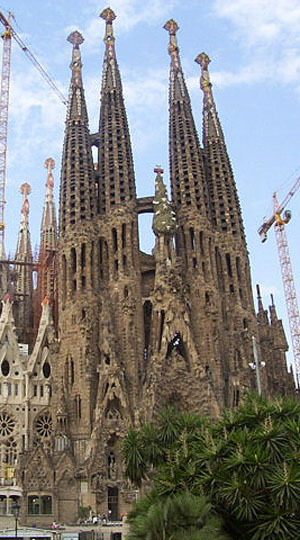 After Gaudí’s death by a tram in 1926, the Civil War anarchists destroyed his plans and models but in the 1950s, the work on the church started again. Now it’s a giant construction site – and controversial to boot, as many believe it should have been left as is, a monument to the great architect. If you dare, take a dizzying climb up one of the towers for a close-up look at the structure or take the elevator (€4.50). For a variety of fun rides and stunning views, check out this old-fashioned amusement park on a hilltop above Barcelona, originally opened in 1901. On a clear day, you can see as far as the Pyrenees and even the island of Mallorca out at sea. 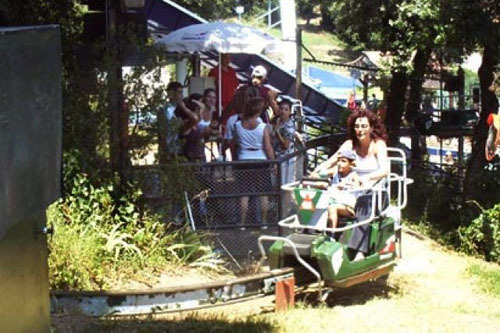 Attractions include a 4D cinema; flying chairs and roller coaster rides; old-school carousels; a hall of mirrors; the emblematic flight on the world’s first large flight simulator and a Sky Walk! Getting up to Tibidabo is fun in itself – you first take Tramvia Blue, an antiquated old tram at the last stop of the metro, and then change to the Funicular del Tibidabo at the end of the ride. Once you’ve had enough of the rides up at the top, sit down for a drink at one of the mountaintop cafes for stretching views of the city and the sea. The funicular ticket (€4.10 roundtrip) is reimbursed once you purchase the park admission. Opening days and hours vary greatly from month to month. Check website for details. Child Price: 4.5 Є (4.83 USD), Ages 11 - 17. Children under 10 are free. Senior Price: 4.5 Є (4.83 USD), Retired. Student Price: 4.5 Є (4.83 USD), Show valid I.D. 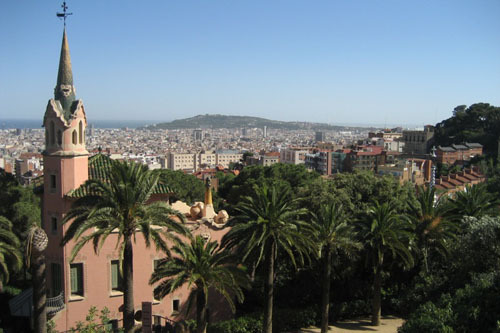 Gaudi's Parc Guell is a fantastical hilltop retreat spread over several lush acres, with splendid vistas of the city. Note the dragon covered in colorful mosaics as you climb up the stairs; other details include curvy benches with ceramic tilework, meandering paths and gingerbread gatehouses at the entrance. Inside the park, in itself a veritable feat of landscape design, is the Casa-Museu Gaudí, inaugurated as a museum in 1961. 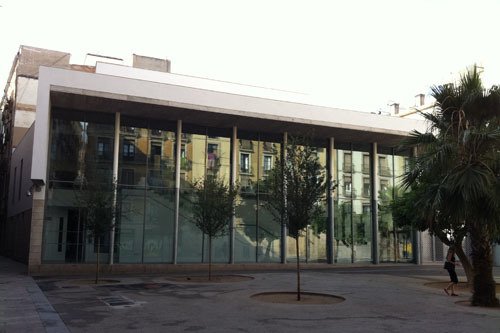 Designed by his pupil Berenguer, this building was where Antoni spent the last 20 years of his life. The exhibits inside the house, ranging from personal objects to drawings, provide an insight into the eccentric architect’s life. The museum also focuses on the building work for Sagrada Família with drawings, period photographs, the liturgical furniture and the models. Spend some time wandering around the park. On December 25th and 26th and January 1st and 6th open from 10a.m. to 2 p.m.
Pablo Picasso moved to Barcelona from Malaga at the age of 14 and although he spent most of his adult life in Paris, Barcelona was an eternal inspiration to him. In fact, even his first solo exhibit was held in Barcelona in 1900, at Els Quatre Gats (Carrer Montsió 3) in the Gothic Quarter. Today, a row of connected medieval buildings houses a fascinating museum dedicated to the world-famous artist. It gives an insight into the formative years of one of 20th-century most influential painters and reveals his deep and intimate relationship with Barcelona. The 3500 items on display include many works from Picasso’s Blue Period (1901-1904) as well as the Las Meninas series and a large collection of prints. Free admission on Thrs 7-9.30pm.Closed annually on January 1, May 1, June 24, June 25,December 25 and 26. 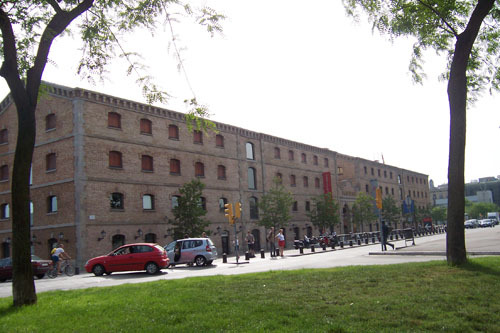 You can learn interesting facts about Barcelona’s history at the City History Museum on Plaça del Rei in the Gothic Quarter. The square itself is a historical showcase, featuring the remains of the former royal palace and some of the city’s oldest buildings. Those include the fourteenth-century Saló del Tinell, a banqueting hall where Columbus was apparently received on his journey back from America; the Renaissance watchtower of Torre del Rei Martí; and the Chapel of Santa Agata. Access to this ensemble is covered in the admission price for the museum but the definite highlight is the underground remains of the Roman colony of Barcino. You access this subterranean labyrinth with an elevator and then meander through the walkways that extend all the way to the cathedral and display excavated items from the first century BC to the eighth century AD, from statues to oil presses and mosaics.